If you are on a tight decorating budget, or just like getting really creative, then you may want to consider using shower curtain rods in more places than the bathroom. Sure these rods are functional. They do hold up the all important shower curtain liner that keeps water in the shower and off the bathroom floor. But shower curtain rods also make great decorative poles in other room of the house. 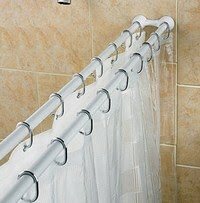 Shower curtain rods can be purchased for just a few dollars but look like a million bucks when used in some creative places around the house. It's the kind of home improvement project a struggling college student can use or the most sophisticated decorator and still have a great new look. In the bedroom: Drapery fabric or curtains are a great way to hide an unattractive wall or cover closets where doors just don't work. The pressure style rods simply twist to the right size and are held in place by pressure. 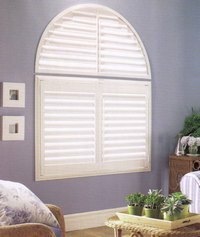 One consideration with this type of rod is that it cannot usually support very heavy drapes. If you are using velvet for example, you would probably need a rod that is mounted with good drywall screws. Another creative place to use shower curtain rods in the bedroom is by suspending a couple from the ceiling above the bed. Sheer fabric can drape across both rods with a dip in the centre and then the fabric can cascade down the wall at the head of the bed. Not only have you created a romantic canopy, but you will also have a soft fabric headboard as a backdrop to decorative pillows. In the Kitchen: A pantry area can be curtained off by using a shower curtain rod and some lightweight kitchen print fabric. This can be coordinated with café curtains on the windows and all of the table linens. In the Sunroom: What to do with a sunroom that gets too hot? Most sunrooms are vented to control temperature, but it can still heat up the connecting rooms in the house when too much sun comes in. You can use a pressure shower curtain rod at either end of the overhead windows in a sunroom. Then stitch a pocket ½" wider than the pole's diameter into which the poles slip. When you hang the rods the fabric can be taut or drape slightly. Either way you have diffused the sunlight just enough to control the room's temperature. The latest decorating trends have taken the mundane out of bathrooms. There are s-shaped rods that make an old fashioned claw foot tub able to support a shower spray. Also, there are new designs in rods that suspend them from chains so that they appear to float from the ceiling. You can dress up shower curtain rods by choosing fun coordinating colours or attaching the curtains with interesting ribbons or clips. It doesn't have to be just a plastic ring through a button hole. The ideas are endless and only limited by imagination and creativity. Spend some time looking through decorating catalogues and you will see that whenever there is an expensive rod used to hold up fabric, a shower curtain rod may do the job just as well, but for a whole lot less money. 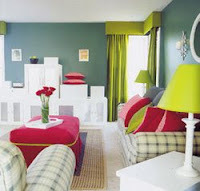 Peter Wilson revealed a lot of articles for http://www.curtains-drapes-coverings.com, a source on tips and tricks. The writer is writing on subjects such as shower curtain rods ( http://www.curtains-drapes-coverings.com/shower-curtain-rods.html ). When you go out, look at the people around you. Don't they look like they're in a hurry to get somewhere? When you ask your friends out for a gathering, do you often get, "Sorry, I've got an appointment, or I've a meeting on that day"? Many people are chronically busy nowadays. They all have the compulsion to be successful as fast as possible. And to achieve that, they figure they have to compress five years of work into one, by moving five times faster! So they rush – developing a hard-nosed edge, sacrificing personal time and relationships, to get as much done as they can. But despite their earnest and wholehearted attempt to be successful, they often waste their effort because they lose their sense of direction – focusing on the trees, but failing to notice the forest – they end up running in circles. If you don't occasionally stop running and look up at the stars, how will you know which way is North? (Don't tell me you have a compass.) In real terms, this means you have to set some time everyday to stop, and reflect. · Has what I've done today brought me closer to my life's goal? Yes, these questions require you to think deep; do some soul-searching. But when you have the answers, your mind will be clear. It's like driving a car with a clean windscreen... you can see where you're going! I suggest you clean your windscreen every night by taking time to reflect. That way, your VISION will be as sharp as can be. Everyone needs a Vision – that vivid mental image of what you'd like to Be, Do, and Have in life. Without it, we can't see which way we're headed. And the only way to develop it is to pause, reflect, think deep, and search your soul. Have you heard of Retail Therapy? Women love it. It's the idea that you can go shopping, buy something you like, and it will make you feel good about yourself. In the Be-Do-Have model, buying stuff is obviously in the HAVING stage. People subconsciously feel that having more stuff, will make them become who they want to be (Have>>Be). But the sad part is, only the reverse is true. Being who you want to be, will lead you to having what such a person has (Be>>Do>>Have). Many people are using the Retail Therapy model to feel successful. They scamper to earn as much money as they can, then they splurge it on a lavish lifestyle – fast car, high-class dining, luxurious apartment, hot nightspots, and exotic traveling. All these luxuries and status symbols are suppose to help them BE somebody... But unless they already know who they are on the inside, they often end up being nobody. Luxury rich, but cash poor. These people have spent all their money on the toys. They will never get rich because they have none left over to invest. We all know that you MUST use the money you accumulate to buy assets which produce residual income, if you are EVER going to achieve wealth and financial freedom. As we rush through our day, making money and spending lavishly, in a race to be successful, perhaps we can realize that all it takes... is one diagnosis of a critical illness, one lawsuit that bankrupts you, or the death of a loved one, to shift your values in life. Suddenly the stuff you have isn't important anymore... You'd gladly give it all away to get back your health, to shelter your family, or to share more time with your loved one. All a dying man wants is to be well again. All a homeless man wants is good food and a warm place to sleep at night. And all a grieving man wants, is to have spent more time with his loved ones. Don't let this happen to you. Slow down, pause, and reflect. Figure out what's important to you in life. Then spend more time doing what's important, rather than following the masses – being busy everyday; chasing an imaginary shopping list of what it takes to be successful. Remember... better to walk slowly in the right direction, than to dash madly all over the place. Did you know that you can still grow your own beautiful flowers and vegetables, without having to spend many hours every week looking after your garden? One of the biggest problems many gardeners face is never having enough time to maintain their garden. There's always weeds to remove, insects and other pests to take care of, and steps to take to prevent plants becoming diseased. Even watering the garden each day can be very time consuming, unless there's an automatic sprinkler system in place. If you want a garden but only have limited time to look after it, hydroponics is a great option. 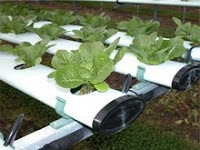 Hydroponics gardening has many time-saving advantages over conventional gardening methods. With hydroponics gardening, the plants are grown in a solution of nutrients dissolved in water instead of soil. You don't have to worry about weeds sprouting amongst your plants, because soil isn't used. 2. Fewer problems with pests and diseases. When growing hydroponically, you have less of the typical problems with pests such as slugs, snails and caterpillars attacking your plants. Although the nutrient solution of your hydroponic garden will have to be changed regularly, this only takes a fraction of the time compared to conventional gardening maintenance - eg. greenhouse gardening, where soil has to be replaced between crops to prevent disease. 3. You don't need to spend time watering your plants. Plants grown in a hydroponic garden have an unlimited supply of water. You never need to be concerned that your plants are getting too much or too little water. 4. Say goodbye to digging your garden. Preparation of a conventional garden involves loosening the soil to add oxygen for the plant's roots to extract. Once again, as soil isn't used with hydroponics, this means one less time consuming job for you to do. Plants grown hydroponically extract oxygen from the nutrient solution via their roots. The oxygen can quite quickly be used up, so it's important that it's replaced. The way it's replaced depends on which system is used. The most common hydroponic system is the passive system, which uses an aquarium bubbler to put oxygen back into the solution. Plants can be grown rapidly without all the concerns of regular gardening. Although a hydroponics system can take some time to set up, you'll find it's well worth the effort. Stephen Provis has an interest in plants and home gardening, and is owner of http://www.ultimate-hydroponics.info/hydroponic-grow-systems.htm. Your real estate agent has come to your house to assess what needs to be done to sell it the quickest. The word, "declutter," continues to come up. You assure your agent that you are a very neat person and that everything will be clean when the potential buyers come to view it. Many sellers encounter the same situation each day. What agents wish their clients would understand is that decluttering is more than just keeping the baseboards dust-free and the countertops wiped down. Try some of the following tips and wow your real estate agent, and especially, your buyers. With pen, paper and clipboard in hand, tour the outside of your home, then the inside. As much as possible, pretend that you don't own the house and even that you've never seen the place. You will quickly see what your real estate agent meant by decluttering when you use this new perspective. Write down anything which is the least bit offensive to the eye, including unruly hoses, toys in the front yard, a busy mantle above the fireplace and newspapers stacked up in the laundry room. The list will seem longer the more times you go through the process. However, the more you notice, the more prepared your home will be for eagle-eyed buyers. The biggest stumbling block for sellers preparing their home for the market is their lingering attachment to their house. From repainting a room neutral, to taking family photos off the wall, sellers must accept that their time in that particular house is coming to an end. To counteract this mental block, take your most personal items out of rooms first. Get plenty of clear plastic tubs, or boxes to store your items. Treat the decluttering process as if you are preparing a model home for viewing. In order to sell your home, you have to give the buyers room to imagine their personal belongings. Little forward-thinking daydreams about decorating your new abode should also counteract those strong attachments. A good round of decluttering will often leave you with a pile of boxes and bins to contend with. Although stacking them up in a closet seems like a nice, out-of-the-way option, this may not be the best choice. Consider that closet space is often one of the key selling points for a home. Closets should look as impeccable as possible. This will aid greatly in creating a spacious feeling. If the closets are crowded and messy, the buyer may think that your home is just not big enough, even if it has the square footage they want. Your garage is the most acceptable place for storage in the mind of the buyers. Of course, not everyone has this luxury. If you can convince a family member, friend, or even a neighbor to let you store those boxes and crates, then take advantage of the opportunity. However, if you really need or want your storage items in the house, then try to stack them up in the least conspicuous place you can find. A playroom or basement can usually stand to have a few of these bins stashed in the corner. Better yet, think about renting a temporary storage facility to house these things. Despite all your efforts, be prepared to hear your Tampa Bay Florida real estate agent tell you that you still have too many belongings cluttering the house. If this happens, just remember that they're on your side and that they're the expert. Also, remember that a well-decluttered house is your quickest ticket to a "Sold!" sign. Today, we see more and more people choosing to set up a gazebo, creating a peaceful place just to kick back. Because of the growing popularity, we also see some exciting changes in material, design, and style. With this, the selection is incredible but keep in mind that not all gazebos are created equal. One of the most popular options is the metal gazebo. In addition to a stylish appearance, the metal gazebo is strong, durable, sturdy, and built to last. Just because you decide to go with a metal gazebo does not mean you sacrifice on style. 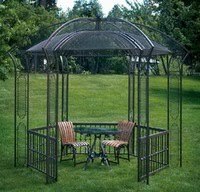 In fact, many of the metal gazebos on the market today are quite elegant, although you will find simplistic designs as well. One of the greatest advantages to a metal gazebo is obviously the stability. Metal gazebos are available in a smaller, four-sized design or if you want something larger, you could go with a 12-sided structure. Additionally, the shape of metal gazebos is varied. Some people prefer the traditional square shape but other possibilities include oval, rectangle, and even multi-sections to include things such as plant-shaped gazebos. When created by a reputable company that uses good quality materials, a metal gazebo has a graceful style, making it both complimentary and versatile for any outdoor property. Just as with style, metal gazebos also come in a large variety of metals with aluminum being the best seller, being lightweight, easy to assemble, and very affordable. However, wrought iron and steel are also great choices. On the other hand, if you live in a windy city, plan to assembly the gazebo on a hill, or simply want something a little more durable, then the wrought iron or steel would be the better choice. Along with a heavier material, the cost also goes up, although still reasonably priced. When shopping around for a metal gazebo, you will find that the majority feature a contiguous roof. The purpose of this design is to help keep snow or rain from collecting on the roof. The nice thing is that you can use this standard roof or purchase a canopy that fits down onto the metal frame. Now, some people will do both. For instance, when leaving the metal gazebo up all year round, the canopy may be added for the hot summer months and then removed during the winter. However, many canopies are also made from strong material that can withstand the harsher outdoor elements. With many wonderful designs for a metal gazebo, you will surely find several that fit your personal taste and needs. For instance, an open design is a beautiful choice from a visual standpoint. In addition, this open design makes the perfect way to show off a beautiful fountain and waterfall, some of your favorite potted plants, and so on. In fact, a common way to enhance a metal gazebo is to plant English Ivy, Pink Trumpet Vine, Honeysuckle, Bougainvillea, Wisteria, and so on. Placing these and other climbers on the outside of the metal gazebo corners provides the support needed while producing a gorgeous display. Although wood gazebos are gorgeous, metal provides some wonderful benefits. Designed to withstand things a wood gazebo cannot, your gazebo will last much longer. For instance, wood gazebos are often plagued with things such as wood rot, termites, warping, cracking, and fading. With metal, you avoid these problems. If your metal gazebo should become scratched or faded, you can use a durable outdoor spray paint and give it a facelift. However, by choosing powder-coated metal, this rarely occurs. Dion Semeniuk has developed experience into transforming your backyard into your very own resort. To learn how the gazebo can achieve this, visit http://www.gazebo-master-guide.com. Information About Trash Can Liners. What makes a good trash can liner good? For over 15 years I've helped people who come in to our cleaning supply facility find the exact product that they're looking for. From repeated feedback and just generally spending the time to talk to out customers I have found that when people buy can liners they buy it because they have individual needs and they're looking for the perfect can liner for their application. There is a lot of information and terminology in the trash bag industry and so there should be because there are hundreds of different types of can liners. Trash can liners are packaged in different ways and be made of different materials. Trash can liners also come in many colors but the main colors in the cleaning industry are black, clear and tan. Usually other colors of trash can liners convey a specific use for that liner; a great example of this is that red trash can liners are usually used in health care facilities. Trash can liner size is probably the most important factor when purchasing a trash can liner. When you fit your trash can liner into your waste container the trash bag should fit tightly to the top of the waste container without stretching it and the bottom of the can liner should reach all the way to the bottom of the waste container. Trash can liners also come in may different types of packaging. Some of these types of packing include rolled trash can liners, rolled coreless can liners and loose flat pack. The last trait of a can liner you should be concerned about is type of plastic the can liner is made from. The two main types of grades of trash can liners is linear low density trash can liners and high density trash can liners. When choosing a color for your trash can liner take a look at what you are going to use the trash can liner for. Black trash can liners are great for concealing garbage and are generally used for everyday trash. Clear trash can liners are usually required by law and ordinances in some cities for recycling products. Clear liners ensure that the contents of the bag is recyclable just by looking at the full bag. Most clear trash can liners are classed as a linear low density liner. The size of the trash bag is very important. A trash can that is to small for your waste receptacle can tear when you are fitting it in. If the trash can liner does not reach all the way to the bottom of your receptacle it can break under the weight of the garbage in it. A liner that is to large can easily slip all the way into the waste receptacle and be lost in the garbage as it is filled up with trash. To be sure that your are purchasing a trash bag that is the right size for your waste receptacles you should check with the manufacturer specs of your waste container for exact dimensions. The way a trash can liner is packaged is also a consideration to be taken when purchasing them. Flat pack can liners are packaged separately and then folded into a rectangular box. Flat pack liners are great when you are purchasing large volumes of trash can liners because they can be easily stacked. 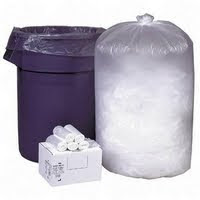 Roll trash bags are perfect for janitor carts or trash can liner wall dispensers. Some roll trash can liners are joined by a perforation on the roll and are torn from the roll gently when you get one. Coreless can liners are rolled into rolls without a core. These trash can liners are great if your trying to save space. The two main types or classes of toilet paper are linear low density and high density. Linear low density liners stretch when you press against the plastic. This type of trash can liner is great for regular indoor garbage that is light weight and does not contain and sharp materials. Linear low density liners are for the most part is more water resistant and have a tighter seal at the bottom of the liner. High density liners are made from a thicker plastic that has much less stretching capacity than linear low density trash can liners. High density liners are great for large and heavy objects and larger waste containers. Overall, when purchasing a trash can liner make sure it is made by a reputable company and don't be afraid to ask if the manufacturer has had any recent defective bags. From my past experience at least 1 in every one hundred cases of trash bags is usually defective. Great cleaning tips and cleaning information by Lee Harris can be found at http://www.monsterjanitorial.com. Lee Harris is an expert in the cleaning industry and can answer all your questions about trash can liners. 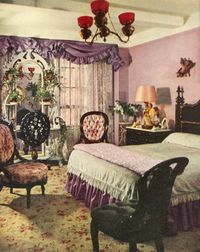 Victorian Decorating In 6 Easy Steps! Victorian decorating is considered one of the most intricate of all the different interior decorating styles that you can choose from. The reason for this is because the colors, fabrics, furniture and decorations are all elaborate and full. You will need to be very creative and crafty if you wish to make the most of this theme. But, it's possible to makeover a room with a Victorian style, even if you are on a tight budget. Step 1 - So that you know the size of the area you have to work with, the first thing you should do before beginning your Victorian decorating is to measure the space of the room. Step 2 - Use colors such as deep green, red, dark pink, mauve, burgundy, and purple for walls, rugs, upholstery and other accessory colors. These were the most popular colors of the Victorian period. It's also a great idea to add crown molding and wallpaper borders around the top of walls. And don't be afraid to use more than one color when decorating the room. Step 3 - You can choose rich wooden furnishings such as sofas and chairs when selecting furniture for Victorian decorating. The legs, backs and arms of these furnishings are carved to stand out, while the upholstery is usually velvet, embroidered fabrics, and brocade. Step 6 - The floors of the living room can either be hardwood floors or wall-to-wall carpeting. But, no matter which flooring type you choose, it is a good idea to add an area rug that is fashioned in an oriental style to complete the authenticity of the Victorian decorating look. 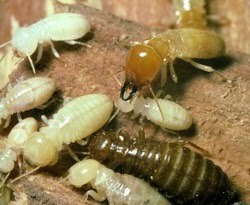 Termites have a very useful role within our environment, but when they invade and attack your home, they can become a hated enemy, a source of heartache and anxiety. Every problem has a solution, and there is no need for any job turning into a nightmare. There are however, certain practices in the pest control industry that should be adopted for all inspections and treatments, and some "dodgy" operators that should be avoided like the plague! In Australia, one house in three at some stage will become affected by termites, which is more prevalent than damage caused by fire, storm and flood combined. This article will examine how to prevent termite attack, methods of inspection, protection, control and treatment. Control of pest termites involves identifying the species, locating the nest and choosing the best eradication methods. A combination of doing regular, competent building inspections in termite-prone areas, using naturally resistant or treated timbers in buildings, and installing chemical and physical soil barriers around buildings is necessary to prevent further problems. Houses nearby may often have termite nests nearby in trees, stumps and underground but these may not contain pest species. When they do, it should be the main focus of the termite control technician to locate and treat these areas before any protection is implemented. Too often the technician will "advise" the worried homeowner that termites may be "anywhere within 100 metres" of the property and its impossible to pinpoint exactly where they may be coming from. In my opinion, if you don't even try to find out the origin of the problem, your chances of gaining control of the problem dramatically drop. Even if the house is surrounded by dense bushland, I think it is definitely worth the time and expense of test drilling and treating ALL trees and stumps surrounding the property within a 50-100 metre radius, because that is where most infestations originate. If it means drilling 40-60 trees or investigating all surrounding homes, isn't that a lot better than ignoring a possible source of infestation? Most pest control companies will not go to this extra effort, and will try to convince the client that their baiting technique or soil barrier system is designed to protect your home in all circumstances. DON'T BELIEVE THEM! Better investigations and inspections lead to better termite protection and treatments. Its only common sense to take all efforts to find out the origin of the attack. This is essential and krypton bulbs give the best light for torches generally available today. LED torches, headlamps and flashlights are the next generation inspection tools and should be used when they come onto the market. A fiberglass rod with a small plastic ball at the end. It is designed to run along skirting boards, higher placed timbers and other exposed timbers. When it runs across termite infested timber the tone changes, indicating hollowed out timber. It is designed to pick up high moisture content in walls and timbers. Termites bring up moisture from the soil and into the walls and timbers. Termatrac is a breakthrough development in the building inspection detection of termites, invented and developed in Australia using technology similar to radar, Termatrac is the exciting answer to detecting termites through timber, plaster board, brick or masonry with no interference to the building material or termite activity. With no drilling, tapping or prodding, Termatrac is the answer to termite detection without termite defection! With Termatrac, the pest professional enjoys the advantage of accurate detection and customer peace of mind. If termite infested timber is located, we may cut it with a pen knife and expose the interior of timber, identifying the species of termites then seal it back up with tape so as not to disturb the termites. This listens to termite sounds in the internal of the walls. However, if you tap the wall with your hand and put your ear up to the wall you can hear the soldier termites communicate by tapping their mandibles onto the timbers. The report consists of multiple pages setting out the areas of concern and what to do to rectify problems. Digital photos are available upon request. Please remember a termite inspection report is designed to detect termites at an early stage as to reduce the amount of damage to your house. It does not stop termites. It is strongly recommended a termite inspection report is carried out at least once every twelve months and every three to six months for high risk areas. 1. Detect old damage and active termites. 2. Gives you the element of risk of infestation. 3. Gives you tips on reducing the chances of termite infestation. 4. Gives us enough information to accurately quote you on a termite treatment and to use the most appropriate method. 6. Educates you about termites. The Giant Termite (Mastotermes darwinensis) has the greatest potential for destruction. However, it is limited to the tropical areas of northern Australia. It attacks any wood in contact with the ground including shrubs and trees, as well as paper, leather, clothing and other materials. It is a large-bodied primitive species that usually forms small colonies and has no true worker caste. The introduced West Indian Dry-wood Termite (Cryptotermes brevis) is considered to be the world's worst termite pest as it can eat even very small timber objects with few external signs of damage, can quickly take over from native termite species, can survive in quite dry conditions, and is easily transported. If it is found, it should be reported to the relevant government authority. It has been found in Brisbane and Sydney, as well as other areas on several occasions. However the most destructive species overall in Australia is Coptotermes acinaciformes. It is distributed throughout the continent and uses tree stumps, living trees, spaces under buildings and even walls as nesting sites. From the nest site, any wooden structure within a 100-metre radius can be attacked via underground tunnels. Although they usually need contact with soil, some nests of this termite species have even been found several floors up in city buildings or on ferries. A common species that nests in Sydney's coastal bushland is Nasutitermes walkeri. It forms distinctive round ball-shaped nests that are especially abundant in the years following major bushfires (as it mainly nests in stressed trees). It can also damage fences, poles and wood on the ground, but it rarely attacks buildings. This species has the largest soldiers (up to 6 mm long) of the Nasutitermes genus, with the characteristic nasute head. We service all these areas as well as the Australian capital cities -Brisbane, Gold Coast, Melbourne, Canberra, Adelaide, Perth, Hobart and Darwin. Remember, if you follow all of the advice in this article, selecting a qualified Termite Expert who is aware of, and implements appropriate termite inspections, protection and treatments will help prevent a problem job from turning into a nightmare. You can arrange for a comprehensive inspection by a qualified Termite Expert simply by emailing our office at info@termiteexperts.com.au or Phone: 1300 131 449 for more termite (white-ant) information, to book a termite inspection with one of our members, or to arrange a quote for treatment of termites. Article written by Bruce Gow. Bruce holds Certificate 1V in Urban Pest Management and holds Termite Specialist Accreditation amongst many other pest control certifications. He owned and managed Best Pest Control (NSW) Pty Ltd www.bestpest.com.au, a successful termite and pest control firm for 24 years, and now acts as an internet consultant for the new owner. Are you having a difficult time trying to match the colors of the different pieces in your room's color scheme? Do you want to know how good Interior Designers solve this tough problem? I'll let you in on the secret...they blend the colors in the room instead of matching the colors. Don't be afraid because you can do it too. In fact, I really recommend it because it will allow you the freedom of being able to easily incorporate more exciting pieces into the room's color scheme and it will also make your life easier too since you won't end up going crazy trying to make all of your room's decor match perfectly! How do you determine what items blend in your room and what items don't? A real good rule of thumb is to stand back and look at all the pieces in question together and to go with your gut feeling or (if you don't quite trust your eye for color) seek out a second opinion from a good friend or family member with a good eye for color. This method of blending not matching is especially helpful when you're working with a pattern that may take on one general color when viewed from a distance. I also like to take a close look at each patterned piece to see which colors they're comprised of to see if the piece is a fit. Be sure to have fun and remember; blend not match! You can find more fun and exciting design and decorating tips on our website which features art and decor tips for contemporary homes and also art and home decor shopping. Bridget Greuel is a designer and writer for Zazzy Art Decor at www.zazzyartdecor.com and Topic Tuner at http://www.topictuner.com. Zazzy Art Decor features modern art and decor shopping and decorating tips. Garden leaf blowers are powered generally either by gas or electric. Our article below will guide you to make the best choice of leaf blower for your portability needs, and garden size. These are more powerful (and noisier) than electric ones, and with a reach beyond the limits of an extension cord. Two-cycle engines require a mix of gas and oil. Gas powered leaf blowers are excellent where mobility and greater work output is required, but are unfortunately heavier than the electric models. 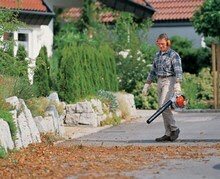 Hand held leaf blowers - Useful only for small to medium yards where you need the power of a gas engine.. They can get heavy however after using for a while. Convenience and portability have their own price if you have backache! The bigger models can also vibrate a bit at top speed, so check the weight and balance. Backpack leaf blowers - these are best for driveways and bigger yards. Be sure to look out for an antivibration system and noise-squelching muffler to make carrying the engine bearable for long periods of time. The blower fits in a harness worn on the operator's back. Walk behind leaf blowers - these are better for large yards or big areas. I would look for a four cycle engine to give you more power and less emissions, and also a three wheeler if possible to make for easier steering. Walk behind leaf blowers cover the most acreage in the least time. These gas powered machines are normally the tool of choice for commercial users, but for regular homeowners, they can make short work of a home lawn.They will however be more expensive too! Vacuum units also use a hose for picking up debris and leaves. These are less powerful than gas, but have the advantage of being lighter, with less vibration and quieter (you still need some protection for your hearing) — and there are no exhaust fumes! as electricity drives the fan. The attached cord however, limits your mobility so this may not be the best choice for a lawn with lots of trees!. Look too, for a cord retention system to prevent the cord from being accidentally unplugged when being used. Also when selecting an extension cord to use with your electric leaf blower, remember that if the gauge used is too small or inadequate, the motor will not perform particularly well. Match the power rating of the tool to a compatible cord, and always buy a cord that is rated for outdoor use. Be Safe! Handheld leaf blowers - these are best for smaller gardens, patios and walkways. Be on the lookout for one with a flexible blower tube to allow you to reach into corners! Combo leaf blower/vacuum - a great idea for small to medium gardens where you've not much room to pile your leaves. I would look out for one with a variable speed and mulcher built-in to the blower to help cut the leaf volume. Rechargeable/battery-operated leaf blowers - are a good alternative for small areas. Work well on solid surfaces like driveways and garages, but are limited because of their short run time and because they move less air than the larger corded models. Leonard Mutch is a keen gardener and author. You can read more of his tips and articles at http://www.gardenleafblower.com and subscribe to his gardening tips newsletter at http://www.gardenandplantcenter.com. Imagine you are a burglar with one thing on your mind: breaking into a home. Imagine you approach that home only to see a clearly visible security sign announcing that the home is protected by a continuously monitored security system. Would you think twice about trying to break in? You bet. A security sign and decal, placed in full view of anyone who approaches your home, can be almost as effective a deterrent as having a real working home security monitoring system. Sometimes the security sign and decal is the only warning you need to give to keep invaders away. 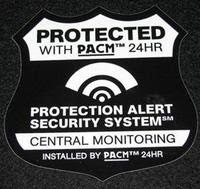 When combined with a wired or wireless home security monitoring system, a security sign and decal lets you know you have more than one line of defense against criminals, further protecting your home and family. A simple security sign and decal can be an important edition to your home security plan, and for just mere pennies on the dollar compared to the expense of a full security system. Without actually risking breaking into a home and being detected and caught, a potential burglar cannot know whether your decal is telling the truth or not. Prominently display decals in your yard and on your windows, and you could keep burglars away without needing to install a complicated wireless or wired system. Though we highly recommend a real security system to keep your family safe, a security sign and decal is certainly better than taking no security measures at all. Installation of a security sign and decal is easy, just like using a sticker or shoving a stick in the ground, and there is no maintenance beyond making sure your security decal always remains fully visible. A security sign and decal is completely wireless, non-electronic; needing no batteries or plugs, so you can put it anywhere you want. Some security signs and decals will even alert emergency response teams that children or pets are in your home, and can save precious seconds by alerting rescuers to which bedrooms your family members occupy. More than just protecting your home from burglars, a security sign and decal can save your life. Security signs and decals are an inexpensive investment compared to the cost of more expensive home security monitoring systems, but remember that only a monitored security system will alert authorities in the event of a break-in. Not all burglars will be deterred by a sticker. The best solution is to invest in your peace of mind and the protection of your home and your family by installing a hardwired or wireless system; use home security signs and decals to decrease the chances of that system ever being tested. Have you ever wondered how you can make your home look like the place of the affluent people? Or would you just like to create an impression of classic beauty with an air of sophistication? 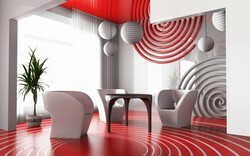 All of these things can be made through the use of interior designs. Basically, interior design refers to the art of manipulating and forming the inner space of a house, an office, or a room, through the management of surface healing and "spatial volume." Interior designs are generally used to bring in the features of architecture, furniture designs, environmental psychology, and product design. All of these are combined to create an artistic projection of the area in project. The interior designer should know and take into consideration the different parts of "design styles." These are the proportion, function of design, concept, and balance. All of these parts are important in creating the total "look and feel" of the room. For instance, in creating the "look and feel" of the room, the interior design could enhance the "graphical user interface" of the design buy using the right combination of colors, layout, shapes, etc. Included in the aspect of styles are the seven elements of design that an interior designer must always take into account. These are the shape, form, line, texture, color, pattern, and mass. All of these things, when incorporated in a project will bring out the best results. However, good interior designers must also take into account the aspects of beauty in terms of its function and aesthetics. A good balance between the two will instigate proper coordination of all the elements of design. The reason behind this argument is based on the fact that the concept of beauty is always comparative and qualified. As the old adage goes, "Beauty is in the eyes of the beholder." Hence, there are instances that one design might be beautiful for one person but may look unsightly with others. That is why when the function of interior design serves its purpose as far as enhancing the total outlook of the space is considered as universal, the comparativeness of its beauty will vary from one person to another. For this reason, the design used by the interior designer may be relative to his or her own aspect of beauty but may be taken differently by his or her viewers. Nevertheless, it is still the interior designer who will know the appropriate use of the different elements of design associated with the utilization of the various kinds of materials that he or she will use. Consequently, the interior designer must still consider the insights and taste of the user or the customer. After all, the interior designer is being paid to enhance the space according to the taste of the one who will use that space. At this point, it is now based on the "sales talks" or the persuasive power of the designer to convince his or her client the best style, patterned to his or her style. In this way, the designer will not be in trouble of deviating from the interests of the client. Otherwise, the designer may no longer find future works from this particular client. Indeed, interior designing is not just a matter of good taste and spatial enhancement. It is also a conglomeration of the application of the different elements of design along with the personal interest of the client. It is a work of art with the value of ethical standards constituted in one art form. Robert Thatcher is a freelance publisher based in Cupertino, California. He publishes articles and reports in various ezines and provides interior design resources on http://www.just-interior-design.info. Just imagine a fun day with your family: playing baseball, having a picnic, a full day of fun. That is until you get home and realize your whole family is covered with mosquito bites. 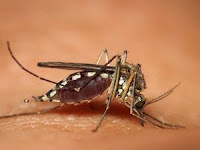 Mosquito bites are not only painful and irritating; nowadays they can also be dangerous to your health. You may think to yourself, "West Nile is so rare, it will never affect my family", but for the few who do get it, it can be very serious. The worst part about West Nile virus is that it can be easily prevented by taking some simple and easy steps to protect yourself and your family. There are several ways to help prevent mosquito bites. The first step is to remove their habitat and breeding grounds. It won't protect you from the mosquitoes you have, but it will prevent them from breeding and reduce future populations. This can be done by getting rid of standing water. If you have a pool, pond, or other body of water, make sure the water is circulating. If you have water that can't be circulated, such as a bird bath, be sure to change the water regularly so mosquito eggs laid in it don't have time to hatch. You also need to be sure there is no standing water anywhere else; such as clogged rain gutter, puddles, open garbage cans, potted plants, toys, playground equipment, and anything else that can collect even the smallest amount of water. Another option, if you can't stop the mosquitoes from breeding, is to try to keep them away from the area you're in. This can be done through citronella candles and similar devices. They now make affordable electronic mosquito repelers that emit a sound to keep them away. You can also use yellow lights instead of white ones. They don't repel mosquitoes, but they don't attract them like white lights do. It may also help to run a fan near you when you're outside since mosquitoes don't like moving air. For keeping mosquitoes away when you're indoors, make sure your keeping your screen doors are closed (automatically closing doors are best), and appropriately attached and sealed. Another way to prevent mosquito bites is to kill the mosquitoes you do have. This can be done through various types of pesticides. Foggers can be used to kill mosquitoes in the air where they fly, and residual insecticides can be bushes and shrubs where they rest when they're inactive. While this solution may seem more permanent than other solutions, you will likely have the problem of mosquitoes migrating back from untreated areas near your home. The best way to help with this is by having a neighborhood mosquito plan; however, they are obviously difficult to organize and maintain. You can also control mosquitoes by using electronic bug zappers. When using these methods, you also have to be concerned about their effects on harmless insects and other wildlife in the area. Many insects that are vital to environmental health may also be killed when you exterminate mosquitoes. Larger wildlife can also be inadvertently harmed by pesticide use. The last option for keeping yourself and your family safe from mosquitoes is to protect yourself directly through chemicals like mosquito repellants, clothing, and shelter. Be sure to use EPA-approved chemicals. If you'd rather use less repellant, you can wear longer clothes and just spray around the edges: however, you should be aware that if clothing is too thin, mosquitoes can bite through it. If you are going into an area where you know there will be lots of mosquitoes, try to wear long clothes netting over your face. If there is a disease warning out for mosquitoes, it is best to just avoid going outside during times when mosquitoes are active. Have a great time outdoors and remember to stay safe! You've grown tired of paying monstrous electric bills and have decided to go solar. Solar panels, however, aren't exactly your taste. Don't worry, you can go solar without them. Solar panels are used to convert sunlight into electricity, which can be used to light and heat a home. They are not, however, the only method for accomplishing these goals with the sun. A simple experiment you can try in your driveway will show you why. Park your car in a sunny spot on your driveway. Get in, mark the time, close the vents and roll up the windows. It starts getting pretty warm pretty quick, eh? You've just experience a concept known as direct gain energy. The power of the sun is more than sufficient to create heating and lighting if it is manipulated to hit your home in the right way. Direct gain is a concept that has existed for thousands of years. Before electricity was in abundant supply, ancient societies planned entire structures around the concept. You can learn from their experience. The first rule of direct gain is to focus on the south facing side of your home. In the Northern Hemisphere, the south side of any structure will receive the most sunlight during the year. If the sun is not striking the south side of your home, you're going to need to move some trees and what not. Failing to do so will kill any direct gain heating options you have available to you. The sun must have a clear path to the south side of your structure or you can stop reading this article. Once gardening issues are resolved, you need to take a close look at the surface areas. Much like a car, it is important that the sun has a method for penetrating the exterior of the home. The primary issue concerns windows. Are there any and, if so, how big are they? 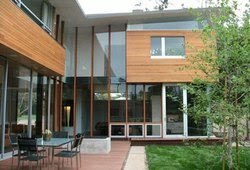 The easiest method to generate solar heat in your home is by placing large windows on the south side of the home. Home Depot, here we come. To truly maximize the effect, you should also have two additional components. The first is a fan system that will help circulate air out into the rest of the home. The temperature differences from room to room will eventually equalize, but a few ceiling fans can help. The second issue to consider is your flooring. Windows are great and all, but what happens when the sun goes down? No more sunlight and no more heat. To overcome this problem, you can make improvements to the flooring below the windows. Yank up the carpet and put in some material that soaks up the sunlight. Certain ceramic and masonry products will hold significant amounts of heat. As the sun beats down on them, they slowly heat up during the day. Once the sun sets, they start giving off heat which allows you to maximize your passive solar system. While this strategy will not replace your traditional heating costs, it can act as a supplemental system to take care of heating issues during the day and early evening. Break out your hammer and you can cut a chunk out of your utility bill! Rick Chapo is with http://www.solarcompanies.com – a directory of solar energy and solar power companies. Visit http://www.solarcompanies.com/articles to read more solar electricity articles. There is much you need to learn before you decide on the right method of storage for yourself. Deciding on whether to utilize the various public storage facilities out in the world today or using the storage cabinets incorporated into the daily basis of your home will allow you to make better use of the space you have come to know best as your residence. However, there are many different shapes and sizes of the latter that are far cheaper, but not able to handle all the materials that end up being put into storage at a particular building. A storage cabinet will make the perfect addition to the unorganized workroom. The storage cabinet can be the most helpful utility in the case of supplying an invaluable capacity to hold on to whatever you find necessary to store for as long as you need it held inside the safety of those spacious bins, and available in a variety of colors and sizes to meet the many different objects of varying proportions, possibly even using these storage cabinets to house more of these kinds of items. Even good for storing those spare parts that become a necessity when you're busy putting together a means to fixing your automobile, or perhaps that equipment that will allow you indulge in those urges to create various craft pieces, a means to producing your own artwork or functional pieces of furniture. Sometimes we all need that personal space that will conceivably present an opportunity to understand mechanical and other skills that are utilities in some of the modern parts of life. Perhaps it is fitting to have one of these handy items in the garage, where the cabinet can be manufactured from metal or plastic, but needing to be capable of withstanding the heavy duty use of much continued punishment. Maybe you require these cabinets to store those small goods such as potatoes for the sake of freshness. Whether you need something to perhaps fit a music collection into, or maybe you require the cabinets for storage of a more mundane purpose, still necessary for keeping track of small items that might get lost otherwise. There is a need to also make sure that you acknowledge any budgetary constraints that might limit your progress. You need to be aware as a shopper of all the options that you would be able to utilize to the best of benefiting yourself by finding the best possible bargain, and you need time and patience to understand how to fulfill the role that requires a storage cabinet to better make use of the space given, a way to safely house those items that have a special meaning to you in some way. Those containers that can come to be called upon for storage purposes are perfect for in-home storage, whether in the garage or even a laundry room, and can even be incorporated into your office functions as well. 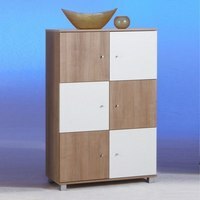 There are many kinds of containers that will allow you to have a compact way to place things into a state where you have no need to worry about any items location, as long as it can also be within quick and easy reach, and you won't need to worry about spacing constraints either with a storage cabinet inside your home. Delbert Parkison has been a co-author of many cabinet making books such as "Cabinet Making Magic". For more than 14 years, he had taught workshop classes at his local community high school. At http://www.i-furnitures.com, Delbert will take you through a step by step guide on how to make an ideal, space saving, and inexpensive cabinet that is right for your home. Don't just limit your choices to the prepackaged ideas that you find in catalogs. You can create a decorating theme on your own that is better than one you can buy. And you can definitely create your own theme more affordably. 1) Your child's books. Regardless of your child's age, the books he or she enjoys reading or having read to them is a good indicator of what appeals to them. If your child is in school then you should take a longer look at the books that they read by choice than those they read by assignment. 2) Your kids's favorite outfit. Whether it's a cute little pink dress with ruffles or a camouflage t-shirt and faded jeans, a child's most treasured outfit is a good measure of his or her tastes. 3) Your child's favorite music. It could be a classical guitarists' soft notes or the raging amplified strings of an acoustic guitar that make your child's feet move, but your child's music is also a valid indicator of his or her preferences. All these resources for decorating kids room have one common element...your child. At a very early age, children begin developing their own likes and dislikes. If you question this theory, try feeding a toddler for a few days. Even if it has been some time since you've done that you will soon remember that even toddlers know immediately whether they prefer peaches or green beans. Whether considering themes for kids rooms, building a sandcastle or pleading their cases for a later bedtime, children don't impose the same limitations on their ideas that we do as adults. If an idea is practical from a child's point of view then the child finds a way to make it work. For original ideas for kids rooms that you can actually use, watch a group of children playing. You'll see the fruits of unlimited imagination. When a concept enters a child's mind, the child takes that concept in hand and the concept is materialized. 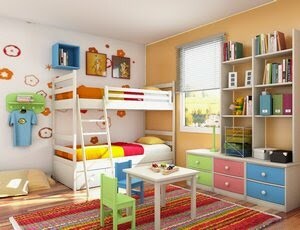 All sorts of kids rooms possibilities exist in things you already own. Try looking at things you have packed away through the eyes of a child. Children see things for all they can be instead of limiting them to a singular purpose. What about that awful velvet painting? It has a perfect frame for your child's favorite poster...just imagine it! Michael Holland is creator of the Web sites http://www.kids-rooms-and-crafts.com and http://www.home-decorating-made-easy.com. 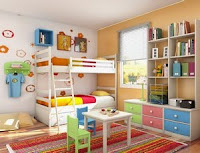 His sites offer lots of free tips and ideas for decorating kids rooms and all rooms your home. And if you'd like to get advertising-free decorating advice delivered direcly to your computer desktop just visit and subscribe to their RSS feeds. Changing your old sofa is the same as removing the old plastic covering that has been hanging on your living room lamp for say, 5 years. Oh...the only design you are seeing now is the newest stain your son has added to the pile. And have you thought of how hard it is for you to get out from your couch? That's too bad. 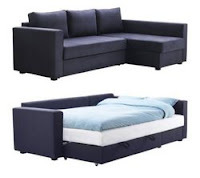 These only mean one thing- its time to change your sofa. - The size. Before doing anything, decide on what size should you buy. This doesn't necessarily mean that you use your room size as the basis. The primary reason for this is to avoid the chance that your sofa doesn't fit the door. Or if you are leaving on the second floor or so, it may be due to the size of the stairs or the elevator. Again, it is not only the length of the sofa that matters, check also on its width and height and maximum size that your room will allow. - The color. It is not always advisable to pick the color that looks strong. As far as home designing is concerned, neutral colors still remain to be the ideal choice. Then if you want to capture those hot and striking colors then take advantage of the sofa accessories. Throw pillows are much less expensive and they may be great additions to your home décors. Plus, you can always change the looks of your living room by rearranging your pillows or by changing their pillow case colors. - Assess your lifestyle. Consider your lifestyle and start from there when choosing the upholstery of your sofa. Also think about which part of the house will your sofa be placed. Will it be placed in the family room or in the formal living room? Having kids may also add to your reconsiderations. For the longevity of the furniture, avoid delicate upholstery like that of satin. - The pattern. If you prefer plain design then it is best to narrow down your choices to more toned down colors. However, choosing patterned upholstery is another thing. Choose a pattern that may conceal "add-on" designs (those that are patented by your son). With this in mind, you may choose multi-colored pattern. This will help you hide the dirt and stains that your children have created. - Examine the furniture. While you're on-site, allow yourself ample time to examine the furniture itself. The underlying construction and the over-all sofa make up. Ensure yourself that you have tried the feel of the sofa. Sit on it like you are at you own home. This will give you a better idea of what the sofa may feel like. If possible, invite others to try the sofa as well. This will make you see the comfortability level of the furniture. - Check other things. Inspect the accents of the sofa. Check the trimmings, the wood used in construction, the paddings, and the over-all design. The question of- "will it match my room?" may arise. It is best to address this question and other issues as well. If you see some defaults, then look for another sofa. After all, choosing a defaulted sofa is not suggested in the guidelines. Robert Thatcher is a freelance publisher based in Cupertino, California. He publishes articles and reports in various ezines and provides sofa resources on http://www.your-sofa.info.